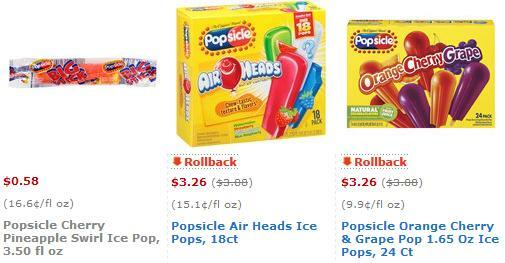 Click here to visit the Coupons site and you’ll be able to print a coupon good for $1 off 2 Popsicle products (not valid on 6-8 count items). You can click the back button to print a second one. There’s 2 deals at Walmart that you can score at Walmart using this coupon since it doesn’t exclude singles (they might change that later though, so print it a.s.a.p).